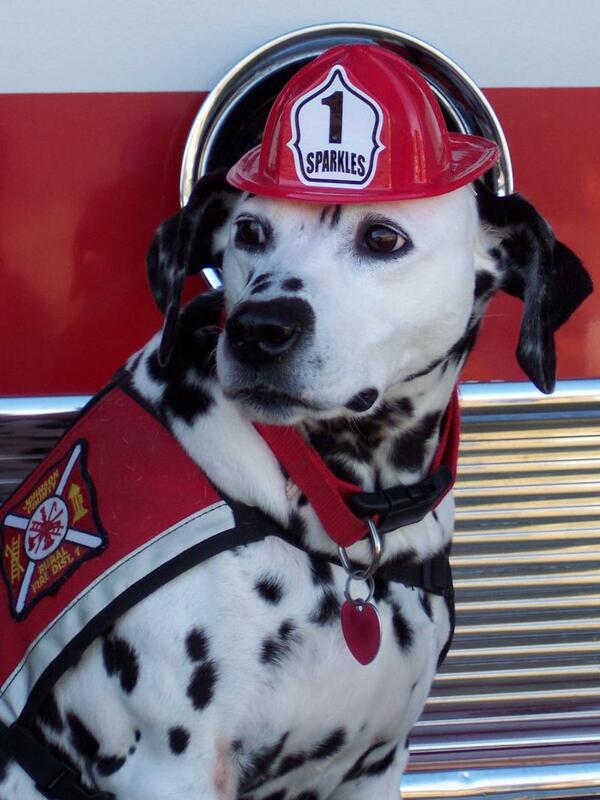 Meet Sparkles the Fire Safety Dog who with, Dayna Hilton, a certified Fire and Life Safety Educator II and Firefighter II, travels all around the country teaching fire safety to children and their caretakers. 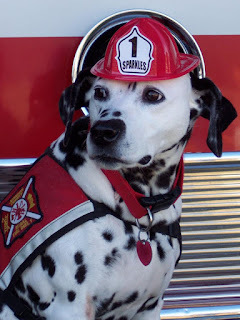 They are part of the Johnson County RFD 1 in Clarksville, Arkansas and they would like you to remember the following safety tips (especially during the busy summer fire season). 1. Firefighters are your friends and help you stay safe. They have been trained to put out fires and rescue people. 2. Children should stay away from things that are hot which can burn them. Some examples: matches, lighters, hot stoves, and BBQs to name a few, but there are many other things too. 3. Smoke alarms are there to keep you safe. Be sure yours are properly working. Make sure children know the sound and that it means to GET OUT! 4. Have an escape map...know two ways to get out of your home or building and have a place outside to meet up. Make sure it is a safe distance away from your residence. 5. In case of fire, crawl out on your hands and knees, below the smoke, where the air is cleaner and cooler.